Wild rivers are kind of like wilderness in Europe, they are in short supply. Wild rivers are the riparian equivalent of wilderness. These are river systems that have not been tainted by the hand of man. They have been left to their own devices to chart their own course so to speak. The rivers flow freely from beginning to end and the benefits of that wilderness, I mean, wildness are endless. Riparian areas are structurally diverse and contain many different types of plants and attract a variety of wildlife species, thus these zones have high biodiversity. River systems act as fly ways for migratory birds and are critical habitat for many species. More importantly riparian zones create corridors that link a variety of ecosystems together. Species and genetic material travel easily through this unique part of the landscape. It is not just nature that benefit from wild rivers but these river systems often have significant cultural heritage value as well. Sadly, Balkan countries are investing heavily, through readily available funds from the World Bank and EBRD, in hydropower between the Austrian border and Albania. An incredible 570 dams are planned of which several are already being built. Let me repeat that figure, 570 dams! If it was one river system, that would be a dam every 2 kilometers. To me this is an incomprehensible amount of dams; it would literally change the landscape of the region forever. 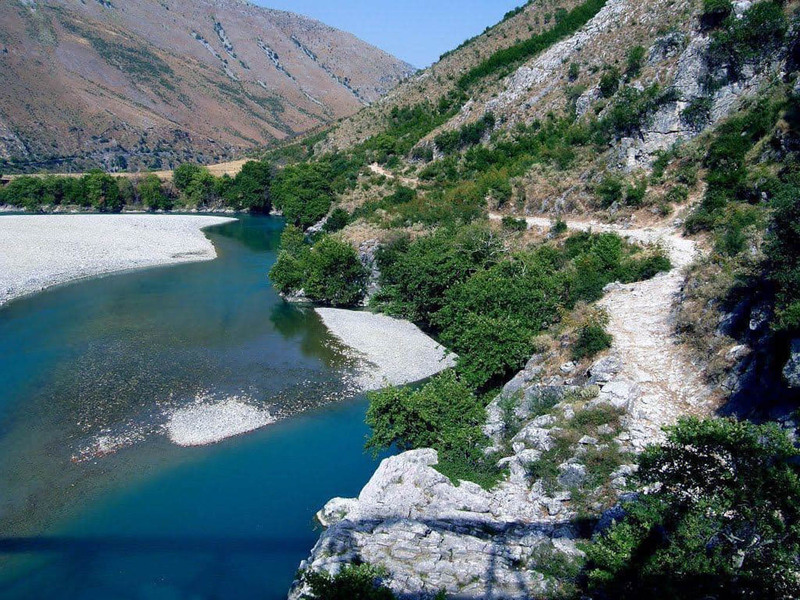 One river in particular is being targeted for the majority of the dam projects and that is the Vjosa River in Albania, one of Europe’s last living wild rivers. Together with its tributaries, the Vjosa provides a dynamic, near-natural ecosystem, something incredible rare in Europe. Of the 570 dams planned for the Balkans, 400 are planned for Albania alone, 8 are just for the Vjosa River. The construction of these dams – or of just a single one of them – would destroy the incredible ecological value of the Vjosa River. Do we really want to have this happen to one of the last natural, wild rivers on the entire continent? Our team at the European Wilderness Society doesn’t think so! Check out our upcoming edition of the Wilderness Journal to find out what we are doing to help protect this important natural heritage in Europe. There are not “400 dams planned just on the Vjosa river” but only eight (even one would already be disastrous!). The Vjosa is really the last wild river in Europe!